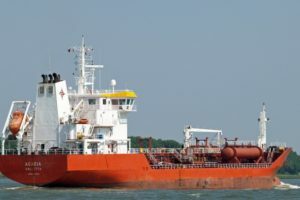 The chemical tanker Usichem caught fire on 45 nautical miles southeast off Rhodes Island in Greece. 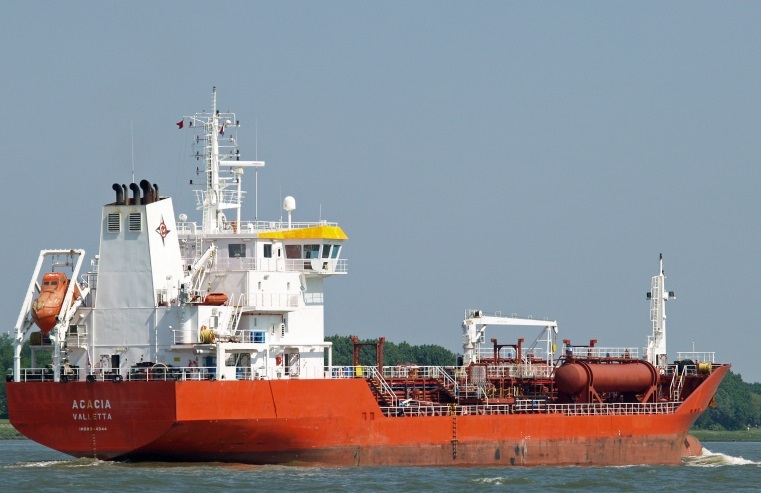 The vessel was carrying 5,900 tons of sunflower oil en route from Taman in Russia to Sudan, when suffered fire in the engine room during passage of the Mediterranean Sea. The fire was extinguished by the crew, but caused damage to the engine and remained the vessel adrift and not under command. The accident was reported to the Maritime Search and Rescue Coordination Center of the Greek Coast Guard and at the scene were sent boat and lifeguard, as well as two other ships, which were instructed to leave after inspection by an air super helicopter Puma. The crew started repairing of the engine problem, but it is not yet clear if the vessel will be able to resume voyage by own power or will need tug assistance. The ship is adrift and not under command at moderate weather with southern winds with power 4 beaufort. Fortunately during the accident there were no reports about injuries among the 17 crew on board. The root cause and exact damages caused by fire are not yet released. The investigation is under way. The local authorities are at the area to monitor the condition of the vessel and keeping a tug on standby is situation worsen. There is no report about leaks and water pollution. The Maltese tanker Usichem (IMO: 9344344) has overall length 119.10 m, moulded beam of 16.90 m and maximum draft of 4.50 m. The deadweight of the vessel is 7,124 DWT and the gross tonnage is 4,798 GRT. The tanker was built in 2005 by Selah Shipyard in Istanbul, Turkey.